It's finished! Yes, the fancy-pants gauntlet (working title: "Gauntles,") is but a fond memory. Now to knit the mate. 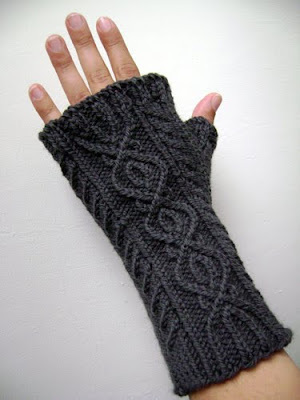 Oh, yeah, here's what the palm looks like: Keep an eye out for the pattern as it should be turning up soon! It's beautiful!! I definitely think you made the right choice with the palm. October 8, 2009 at 7:11 p.m.
Wow, those are awesome!! Can't wait for the pattern!! October 9, 2009 at 5:43 a.m.
Love the design as always!! October 9, 2009 at 7:25 p.m.
October 10, 2009 at 8:51 a.m.
Cupcake mitten pattern is live! 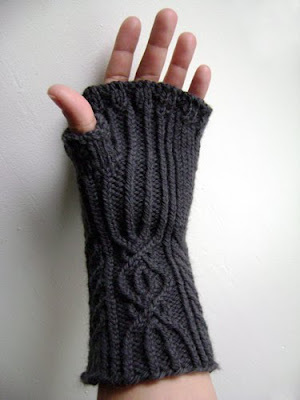 New fingerless mitt pattern now available! Heirloom socks pattern! 200th post! You can't even approach the flava..!